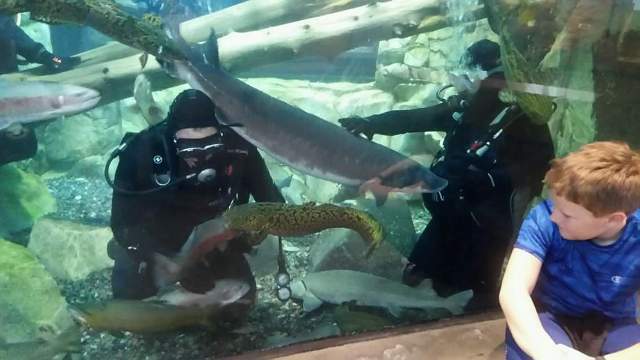 Jackson Fire & Rescue Dive Team helping feed the fish at the Duluth, Minnesota Aquarium. 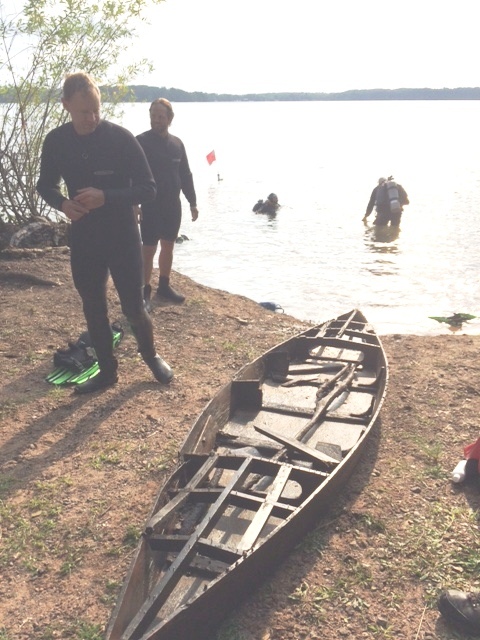 Sunday morning~August 30 the dive team were at North Sand Lake. 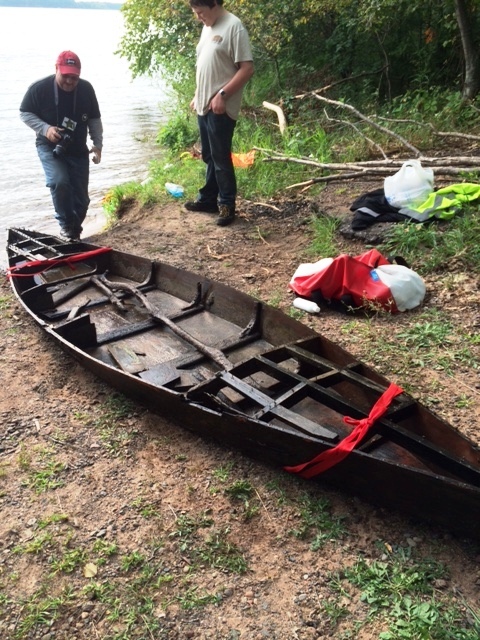 Check out the pictures of what they recovered in about 20 feet of water. 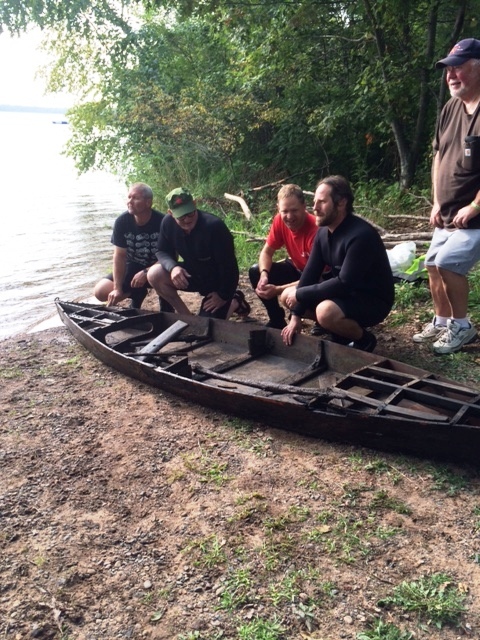 They are looking for answers as to what this boat might have been used for. Prior to 1980 the Town of Jackson was part of the Webster Rural Fire Association. In the spring of 1980 it was decided that the Town would be provided better fire protection if a separate department wer to be formed, located at the Town Hall. On January 1, 1981 with a 1959 Chevrolet pump truck, six sets of turnout gear, and a vacant spot in the old town garage, the Jackson Volunteer Fire Department was formed. Our department consists of one 1000 gpm Class A rated pumper, two 2200 gallon tanker trucks with full pump capacity, a 4x4 brush truck with pump and tank, a 16 foot enclosed trailer to carry rescue/extrication/water site equipment, a flat bottom boat and a Polaris Ranger 6x6 UTV with a combination wildland pump and tank and off-road rescue stokes basket platform. The Jackson Fire Hall is located at the intersection of County Road A & C in the same building as the Town Office. We currently have 14 active, certified firefighters on our roster. The department conducts regular business meetings the first Wednesday of the month at 7PM. Regular training sessions are on the 4th Tuesday of the month at 6:30PM. There are also some weekend sessions scheduled several times during the year to train with the Town of Scott and Town of Webb Lake fire departments with which we share an automatic, written mutual aid policy. With this policy in effect all 3 departments are paged simultaneously to structure fires, basically creating a three station fire department with numerous resources available. The policy is working extremely well for all three departments resulting in lower insurance rates for many homeowners in all three towns. 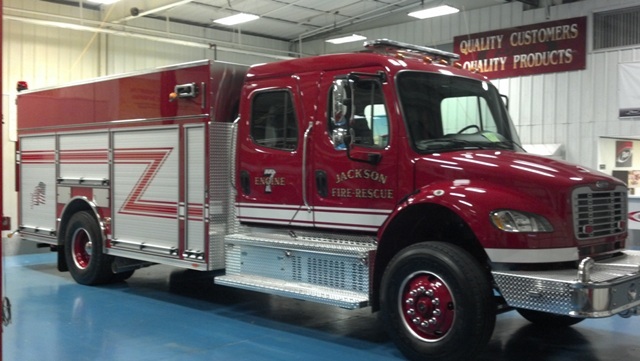 Anyone seeking more information or interested in joining the Jackson Volunteer Fire Department are welcome to visit any of out meetings at the fire station. 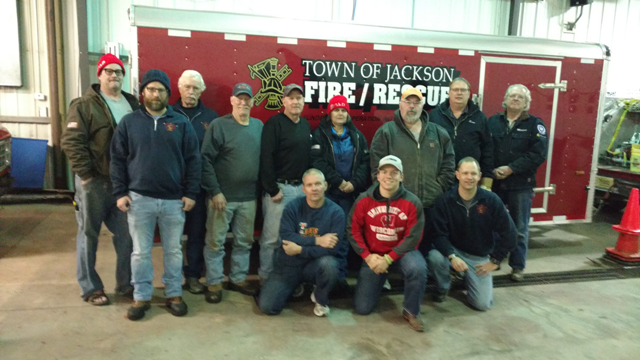 The 2nd Alarm was formed many years ago to assist the Jackson Volunteer Firefighters in their efforts,basically, to direct traffic, clean hoses and furnish meals for prolonged fires and rescue missions. We have one fundraiser each year, the Smelt & Fish Fry held on the first Friday in May. The monies raised help the fire department with the purchase of equipment. Voyager Village has offered to let us operate their successful meat raffle which runs from November through March. This fundraiser will provide an opportunity to contribute more funds to local fire departments. The towns of Jackson, Scott and Webb Lake have mutual aid agreements, so any equipment purchased will benefit the entire area. We have opened our membership to area personnel and guests. 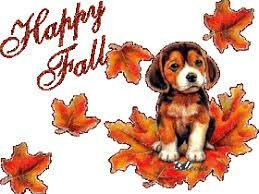 Our meetings are held during various months throughout the year. Feel free to attend our meeting and see what we are all about. More members for Second Alarm are needed. Contact the Town Clerk at (715) 866-8404 for more information. Thank You! 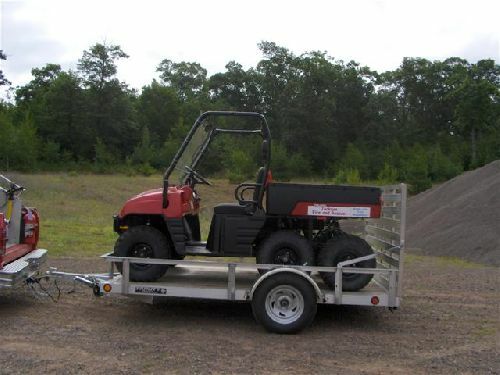 Have you seen the new UTV that will be used for emergency rescues on trails, in the woods or wherever regular vehicles cannot travel?